Category Archives for "How to Dehydrate"
Whenever you are keen to have good health, you always look for the healthy food recipes like dried deer jerky. It is a fantastic snack which fulfills your food cravings and keeps you away from the fried and unhealthy snacks. Eating a healthy diet does not always include lots of veggies and fruits. You can eat your favorite foods like deer jerky without oil and in the dried form. People from ancient times used to survive on this food for many days while on hunting or long voyages. How to Make Beet Chips in Dehydrator? Are you also following a healthy food lifestyle? Do you want to try out some raw food recipes? 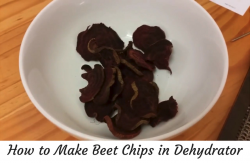 Then you must try making beet chips in a food dehydrator! It's not only healthy but delicious too. The beet chips are one of the healthiest options for snacking. In fact, you can also use it for satisfying your occasional craving. 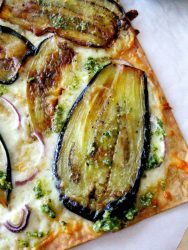 It is quite easy to make them in a food dehydrator. 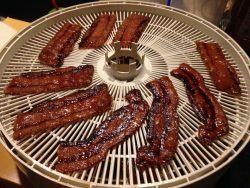 It is true that almost all types of foods including herbs, spices, vegetables, and fruits can dry in a food dehydrator and eggplants also included in that list. You can use the dried eggplant in making some yummy and delicious recipes. Some people do not like the eggplants in the dried form as its color changes when you rehydrate them. But this is an individual choice for sure. If you have a garden in your home in which lots of eggplants are grown then, drying them in the food dryer is the best option. Using an electric food dehydrator for drying eggplants is much better way than the sun drying to avoid any spoilage. There are lots of things which we can dry in a food dehydrator. But do you know that we can also dry honey in the food dehydrator? Yes, you heard it right. Honey can also get dry, and it tastes quite yummy. Usually, we use honey in most of our recipes for sweetening purposes. Honey is one of the best sources of energy that improves your immune system also and the same benefit it offers when consuming in the dried form. Nuts and seeds are great when eaten on their own, but when you dehydrate nuts and seeds, you can give them a crunchy texture that’s even more delicious. Some of the most popular dehydrated nuts are pecan nuts. 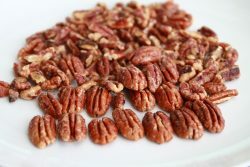 Pecan nuts are used in a wide range of recipes and once you dehydrate these, the flavor of these nuts becomes even more delicious and these can be used for making all kinds of delicious and savory treats like pies, cookies, cakes, salads and just about anything. Bananas are one of the most wholesome foods that contain a wide range of nutrients, vitamins, and minerals. A popular snack, bananas can be made even better when they’re dehydrated as chips or fruit leather to be consumed at a later date. Bananas are a nutritious source of vitamins and minerals and dehydrating bananas is a simple process that can give you a unique and flavorsome snack. With a good dehydrator in your kitchen, you can dehydrate large batches of bananas to keep them as a snack for traveling, hiking or vacations. What’s more, you can also rehydrate the bananas to make delicious snacks like pudding. How to Dehydrate Pears in Food Dehydrator ? Buying a food dehydrator is an investment on your health as you can dry fruit and vegetables for and store them as healthy snacks. This makes emergency food needs an easy and health task. Of all the fruits, pears are one of the easiest fruits to dry and make a delicious snack to binge on without any guilt. Preserving herbs is a great way to store them for long periods of time and the best way to preserve herbs is by drying them in a dehydrator. You can also place herbs in the sun for drying, but it takes a lot of time and often the results are not satisfactory. With a dehydrator, you can get done with drying the herbs easily and quickly. You can also dry large batches of herbs in the dehydrator as per your requirements. The biggest advantage of drying herbs in a dehydrator is that you can be sure the drying environment is hygienic and free from any preservatives. You can easily store away the dried herbs in airtight containers for later use.